I’ve been doing SEO for the better of 15 years now, and have seen a lot of website marketing techniques and plenty of SEO techniques come and go over the years. Some are still around–and really do drive quality traffic to websites. But there are those techniques considered black hat, grey hat, or just too spammy that they’ve essentially been dismissed as legitimate marketing methods. When it comes to the New gTLD domain names, such as .AGENCY, .MARKETING, .CARS, or .ATTORNEY (there are over 700 of them now), I have been very curious to know if they’re just a fad or if they’re a marketing technique that’s here to stay. So, back in 2014, I started testing. In our first round of testing, back in 2014, our agency, Globe Runner, ran Google AdWords campaigns and sent traffic to a keyword rich domain .com domain name and, at the same time, sent clicks to a keyword rich .DIAMONDS domain name. 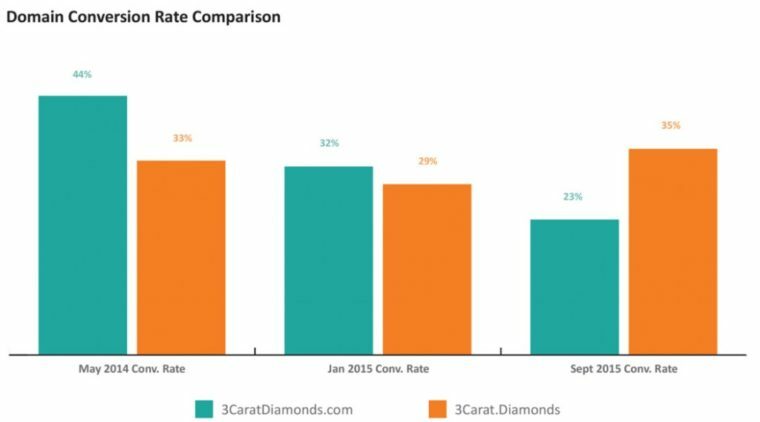 We used 3caratDiamonds.com and 3Carat.Diamonds, and used the exact same keywords, ad copy, and landing pages. The only difference was the domain name. At first, when we first ran the ads, we found that we got more impressions on the .Diamonds ads, and the .DIAMONDS clicks were cheaper. The clicks on the .COM ads were more expensive, but ultimately the .COM clicks converted better. Eight months later, however, we ran the same ads again, and found that the .DIAMONDS clicks were still cheaper than using a .COM domain name. But, it turned out that the .DIAMONDS clicks were converting better than they had before. I’m now recommending that if you’re running Google AdWords ads, consider using a keyword rich New gTLD domain name. You should, of course, do your own testing, but you may end up paying less for clicks and getting more conversions. But What About Organic Rankings? But do these keyword-rich New gTLD domain names actually rank well in the organic search results? That’s what we, as SEOs, want to know. Frankly, I’ve been actively following the New gTLDs and their successes, for several years now. Whenever I talk to a fellow SEO and mention them, I get the same answer, “But I never see any of those domains in the search results…so they must not rank well.” Or, “Whenever I see one it’s just spam.” Those tend to be the SEOs who have no experience with them, or haven’t done any testing. 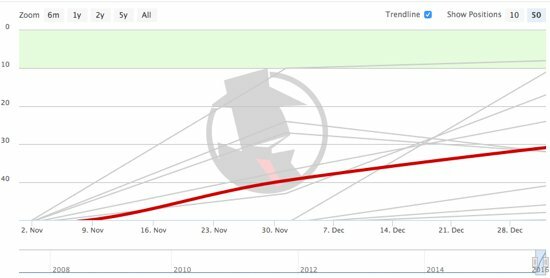 When I do find an SEO who actually has experience with a New gTLD, I’m not surprised to find that their experience, from an organic ranking perspective, has been good. 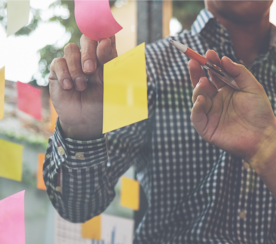 In my checklist, there are about 40 tasks to perform when moving to a new domain name, but those are the main, important steps. For some more specifics about migrating to a new domain name, you might want to check out Glenn Gabe’s recent Search Engine Land post. As long as the migration is done properly, my experience has been that the site generally doesn’t lose any traffic when moving to a New gTLD domain name. Previously, however, when moving from a .COM to another .COM domain name, I’ve seen traffic dip for a period of time, sometimes up to three months, and then recover. But lately, we’re just not seeing that traffic dip with the keyword rich New gTLDs. Let’s look at, for example, two separate, totally unrelated websites that moved from .COM to a New gTLD domain name. I studied the results of a car dealership moving from a .COM to a .CARS domain name, and published a case study with the detailed results. I then studied a local attorney’s website that moved from a non-keyword rich .COM to a keyword rich .ATTORNEY domain name. I also published detailed results, as well, in a case study. What I found was, in both cases, the websites appear to have benefited from migrating to a domain that has their keyword in the ending, a keyword in the TLD. One particular case is interesting to look at from an SEO perspective, St. Louis Motorcars. They migrated their website from StlMotorcars.com to Stl.CARS. 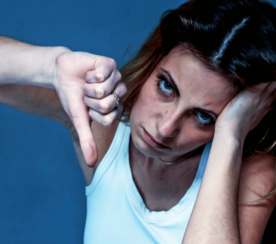 In this case, the website didn’t change–they used the same web design, and didn’t do anything to the site except their normal updates to their vehicle inventory. No additional link building was done as far as I can tell, so essentially the website only migrated to a new domain name. This is the closest we’ve gotten to narrowing down what has potentially affected organic rankings–and only the domain name changed. I studied the search engine rankings of St. Louis Motorcars both when it was on the .COM domain and after it was moved to the .CARS TLD. I found 16 keyword phrases that were ranking in the first few pages of Google’s search results. Of these 16 keyword phrases, 8 got better when it came to search engine rankings after the move to the new domain. Many of those keywords that didn’t move up in the search engine rankings stayed the same (i.e., the ranking was the same before and after the move). I used SEMrush.com to research rankings before the site move, and manually looked at Google for rankings after the move. But what does the data show when they moved the site? Overall, based on Google Analytics data, the percentage of new sessions went up 7.51 percent over the previous domain name, StlMotorcars.com. I also had access to Google Search Console data, and didn’t see any evidence that the move from the .COM to the .CARS domain hurt organic traffic, impressions, or clicks. For a local Jacksonville Attorney, their move from a .COM to a .ATTORNEY domain name was different–the law firm launched a new website and didn’t just migrate to a new domain name. But, nonetheless, Eric Block’s website went from not being found at all (no keywords ranking on the first page of search results) to being in the top spot for one of his most important keywords, “Jacksonville Attorney”. After reviewing data about the migration, reviewing keyword rankings before and after the migration, and thoroughly reviewing the site’s Google Analytics data, I can honestly say that the site didn’t suffer any rankings drops. It was quite the opposite, the site’s enjoying first-page organic rankings for a significant amount of keywords. And, you have to admit that a top ranking for an important keyword phrase is pretty impressive, even if it’s for an Exact Match Domain (EMD). Those are just two specific examples of websites that have moved to a new gTLD domain name. There are literally hundreds (thousands?) of other examples out there in the wild that can be studied and reviewed if you’d like to look for yourself. A brand new domain (such as a New gTLD) doesn’t have a bad history. In fact, it has no history that could hold it back from ranking well. It’s not that the keyword rich TLD is helping, it’s just not hurting. That can be a good thing. A site that moves to a new domain name that migrates successfully using SEO best practices will not suffer rankings issues, whether or not it’s a keyword rich New gTLD domain. In the cases where a site moves from a .COM to a keyword rich New gTLD domain usually moves because they’re moving to a better domain. Have a better, shorter, more memorable domain is better for users. What’s better for users could potentially help rankings. 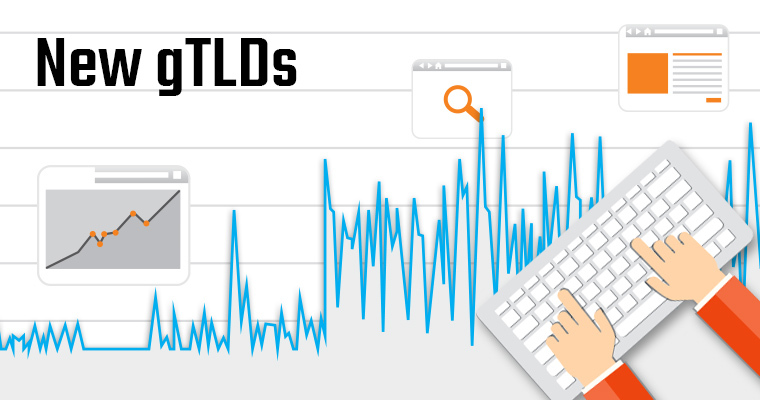 While over 17 million New gTLD domains have been registered (see https://ntldstats.com/tld for current data), we just don’t have enough live sites on the New gTLDs. Over 400 million domain names have been registered, and 17 million is a small number of that. That’s one reason we just don’t see them showing up for search queries that we’re performing on a regular basis. The fact that we’re not SEEING New gTLD domains rank doesn’t mean that they’re NOT ranking well and using one will help rankings. Google still relies on link data as a part of their algorithm. So, a change in a site’s anchor text, especially to a site that uses a keyword rich New gTLD domain, could actually help rankings. Links include keywords in the URL, and keywords in the anchor text. This may be helping more than we think. So what’s the answer to the original question, “Does Moving To a New gTLD Domain Name Help Rankings?”. The answer, honestly, is that we don’t know yet. 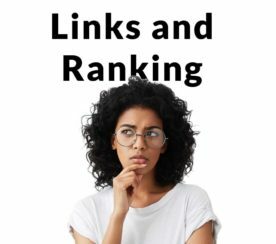 We certainly have some proof that moving a site to a New gTLD domain or using a New gTLD domain for your brand new domain could help organic rankings, and it certainly won’t hurt rankings. If the migration is done correctly, a site won’t lose rankings. But we just don’t have enough data to give anyone a final answer to this question, there aren’t enough New gTLD domains with live sites on them. I do, however, recommend that you register new keyword rich New gTLDs whenever you find one that includes your site’s main keywords. Then do your own testing with a live site on that domain and come to your own conclusion. Featured Image: Image by Globe Runner. Used with permission.